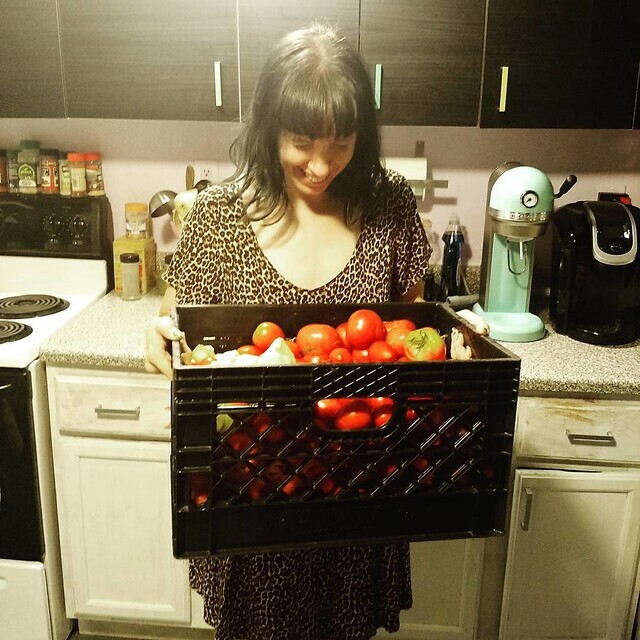 Crazy Tomato and Watermelon Harvest – 83 pounds worth! 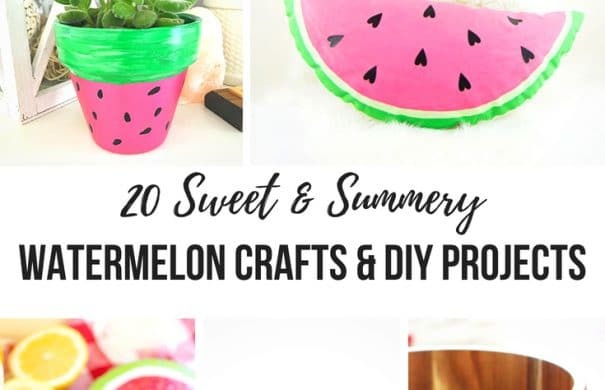 20 Sweet and Summery Watermelon Crafts & DIY Projects for kids of all ages! 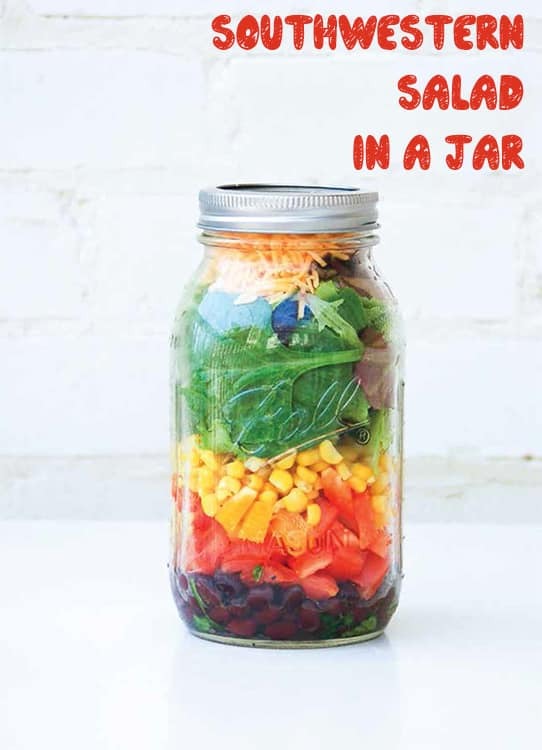 You’re going to love making these creative projects with preschoolers, toddlers and teens! 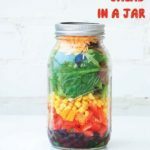 Ideas include everything from magnets, pillows, pinatas, painted bowls, planters, easy paper plate crafts and more! Summer is all about watermelon season! Who doesn’t like a big piece of sweet watermelon to eat on a warm day? 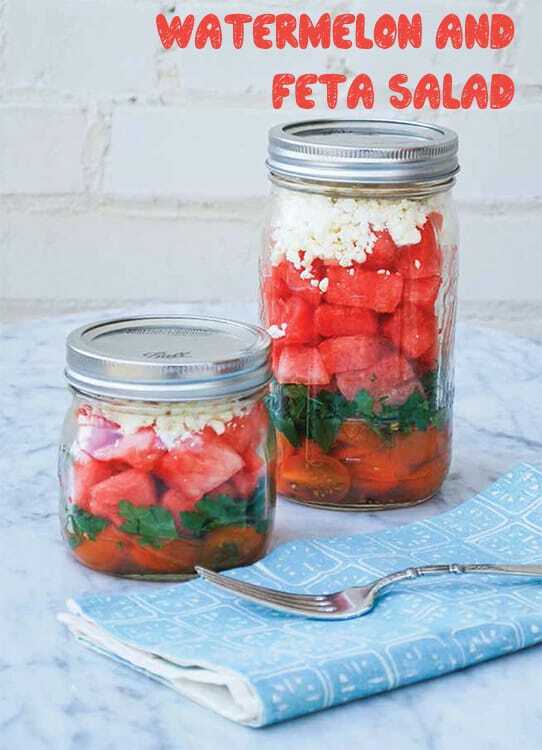 Watermelon just doesn’t have to live in your garden or kitchen! Why not make it a fun weekend activity to do with your kids? 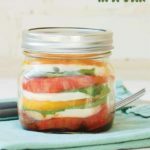 The list below features 20 Sweet and Summery Watermelon Crafts & DIY Projects that you can all do with your kids! All of them are relatively quick to do and results in a keepsake craft that everyone will love! 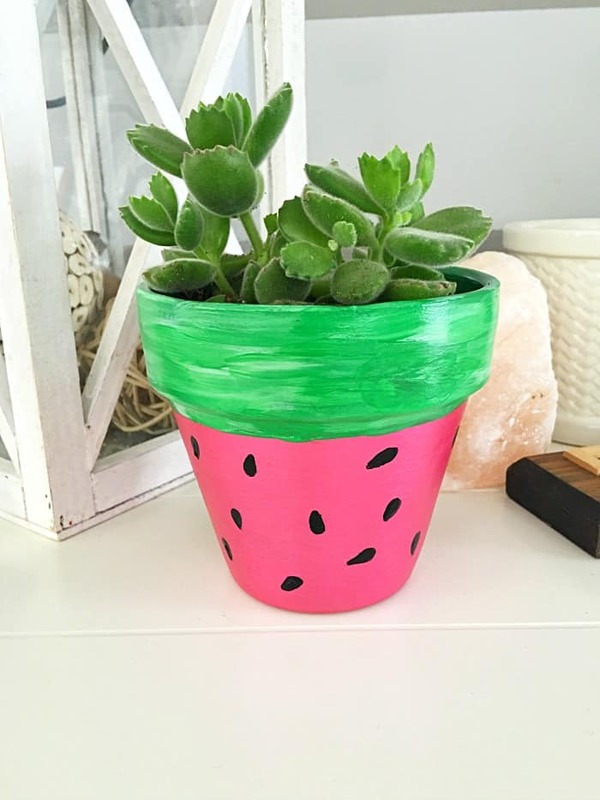 How cute is this DIY Hand Painted Watermelon Flower Pot from mommymoment.ca? Grab a cheap pot from your local nursery (or Amazon!) and paint it to house a plant or some herbs in! 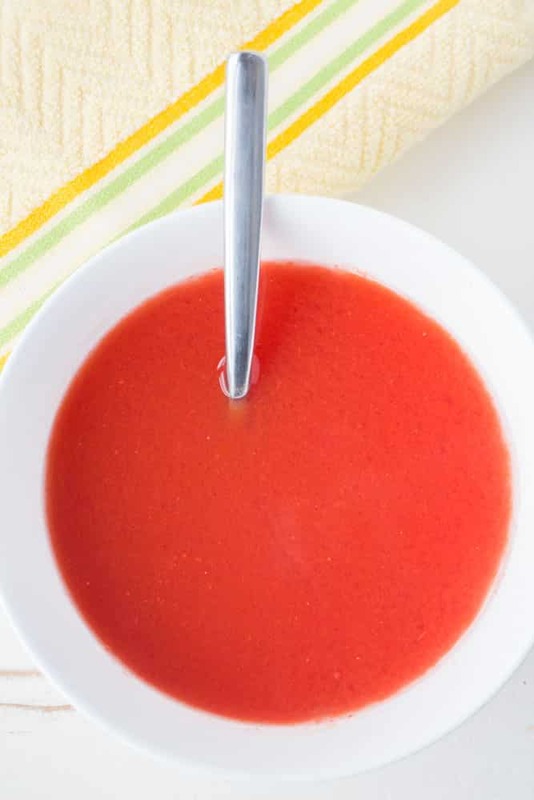 EASY Watermelon Soup recipe that only has 4 ingredients! 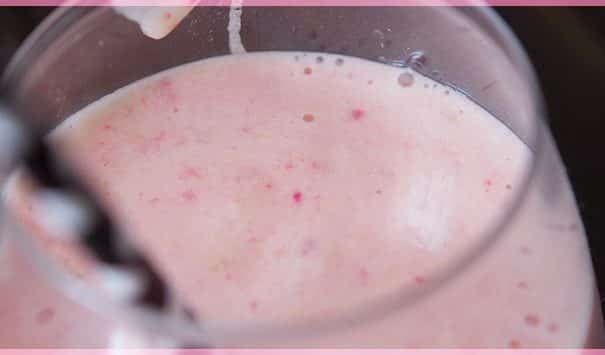 In just 10 minutes using watermelon juice, lime juice and ginger you have a tasty healthy soup! 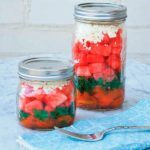 Yes, it’s the last day of February and I’m giving you a watermelon recipe because I like to go against the blog rules of only putting recipes on your site that are “in season”. 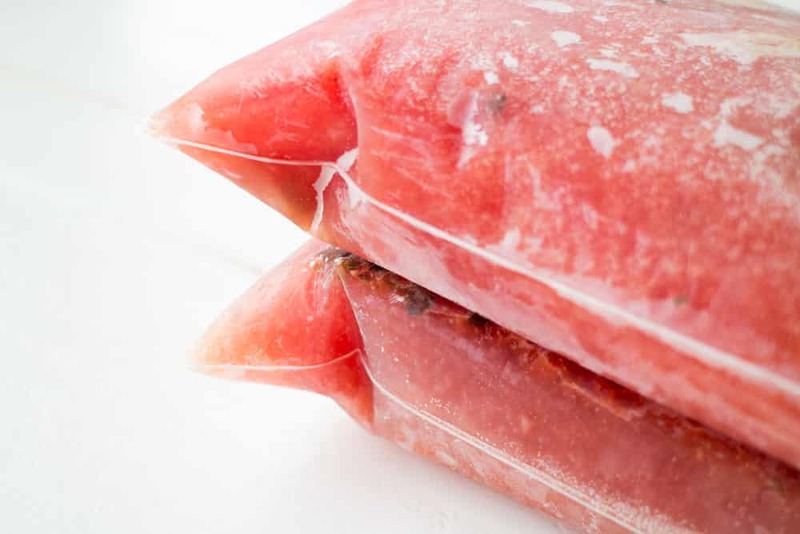 To be honest, watermelon can always be in season if you freeze your Summer watermelons. If you ever have a watermelon that you think you can’t eat completely, don’t let it go to waste! 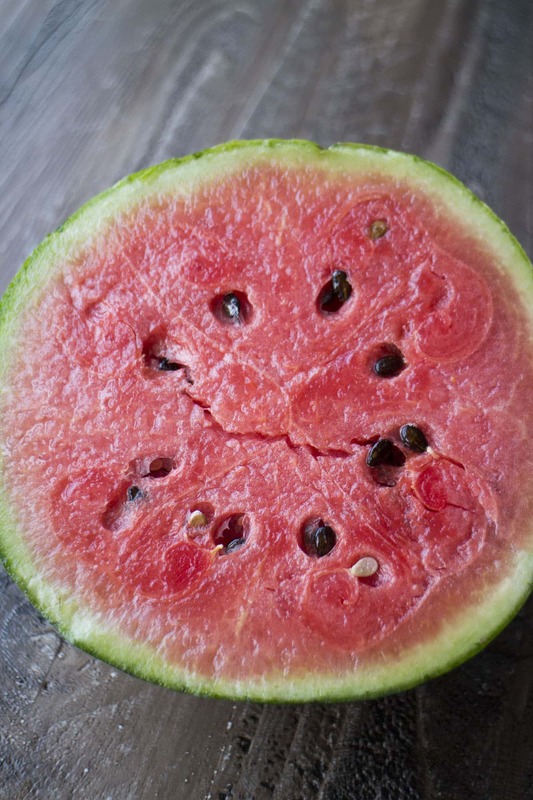 Just chop it up, or turn it into watermelon juice, throw in the freezer and you’ll have it for months to enjoy! That way it can be Winter and you can enjoy this Hot Watermelon Soup! (This is watermelon juice that I freeze. 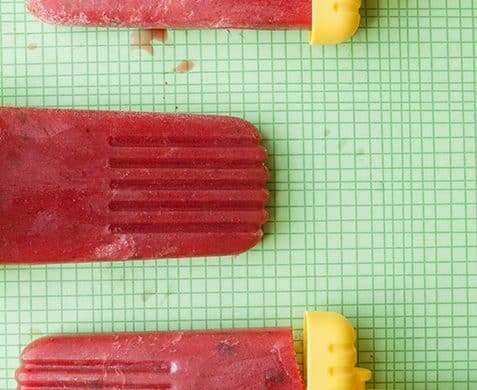 I just throw chunks of watermelon in the blender and then measure 2 cups into a freezer bag). This Watermelon Soup makes me happy because I just want to grab my sunhat and a shovel and run to the garden. I have been getting the garden shivers lately. You know the garden shivers, right? 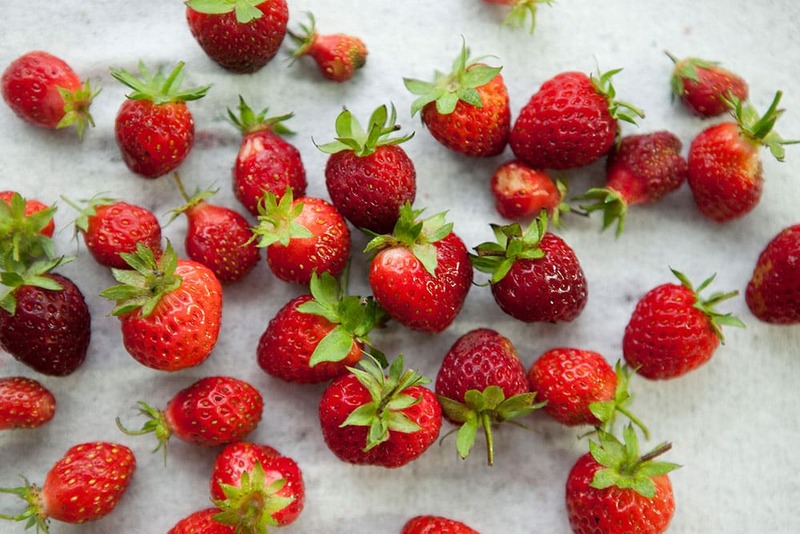 It’s when you’re so excited for the garden season that every time you think about what you’re going to grow you just start to shake with excitement. I’m not a doctor but I will confirm that garden shivers are not dangerous at all, instead they cause happiness. 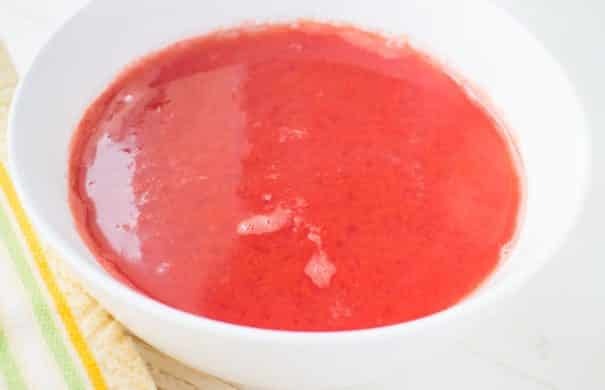 When I eat this Watermelon Soup, either in the Summer or the Winter, it makes me think of the garden and all the great memories that come along with it (not to mention the power of saying “I grew this!”). So I like to consider it a happy soup! 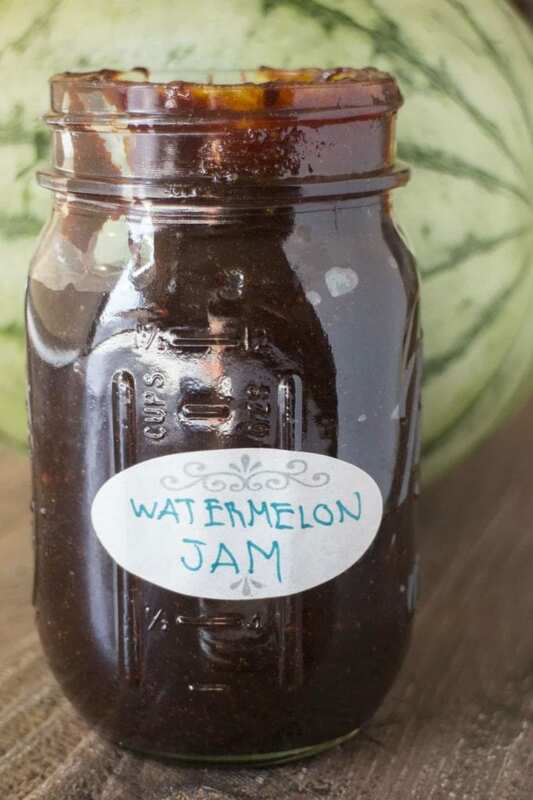 HOMEMADE Watermelon Jam with no pectin! 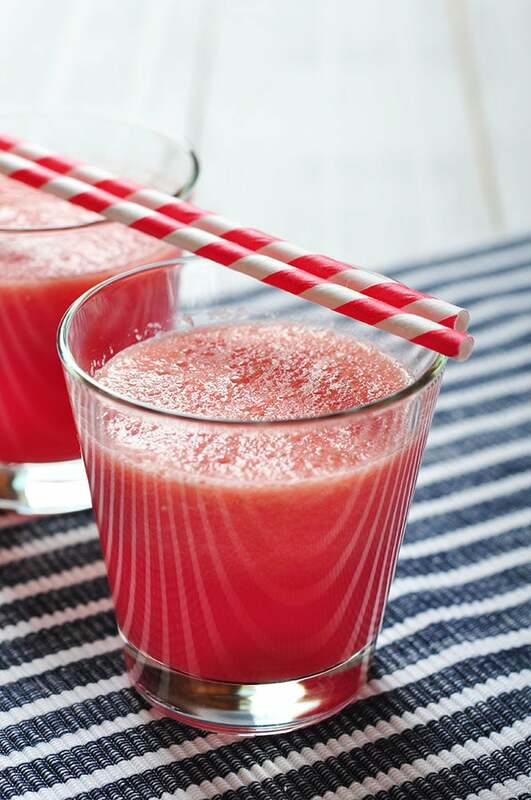 This easy to make jam recipe uses fresh watermelon juice to make a healthy jam. 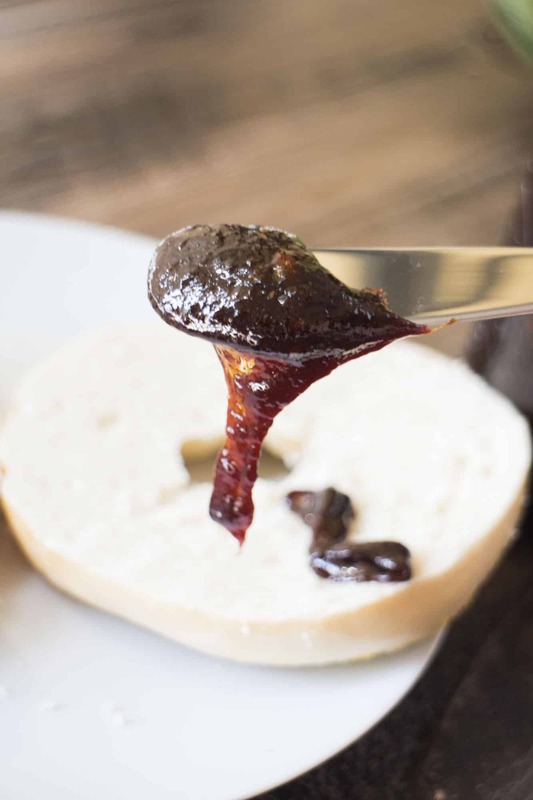 No pectin is needed for this recipe, just throw it in the refrigerator when it’s done! 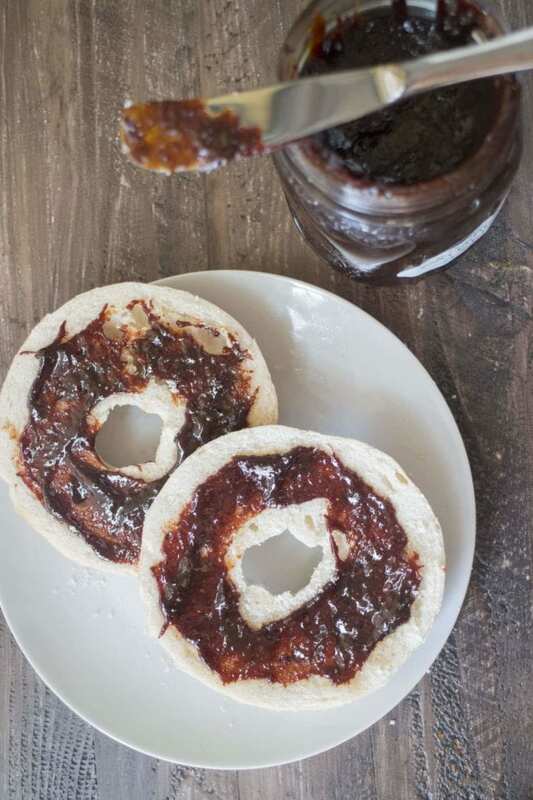 This is one of the best fruit jams, I love eating it on toast! What can I make with watermelons? This year we grew a bunch of watermelons in the garden. If you’re looking for a good container fruit to grow, watermelon is the direction you should go in. On each plant we usually get 3-4 watermelons which quickly adds up when you have a few plants! By the way did you know that watermelon is a fruit and a vegetable? It is a fruit because it grows from a seed. It’s a vegetable because it is harvested and cleared from the field like other vegetables and because it is a member of the same family as pumpkins. I had no idea! 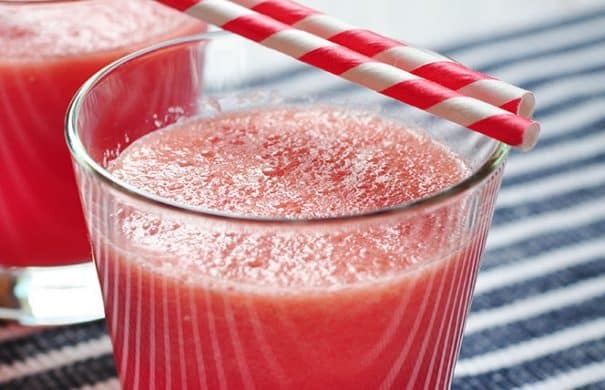 First, you’ll need watermelon juice which is easy to make. Remove the seeds from your watermelon and then throw watermelon chunks in a blender or food processor. 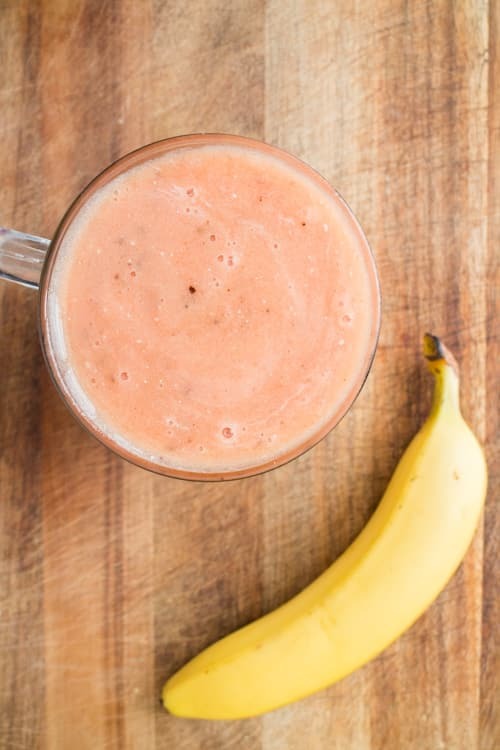 Blend until it turns into watermelon juice! 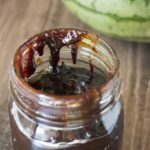 I love making homemade jam with blueberries so I decided this time to make a watermelon jam recipe. 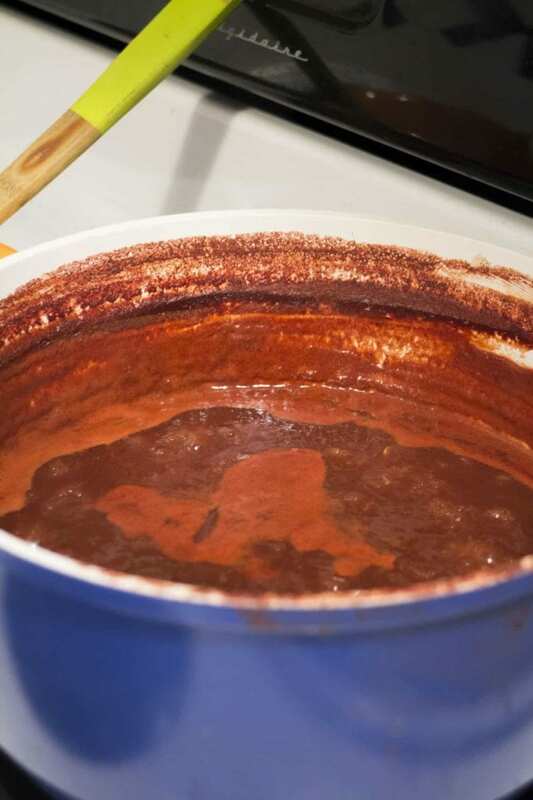 And because I think all jam tastes and smells better with a bit of cinnamon we’ll throw some of that in to make it extra special. 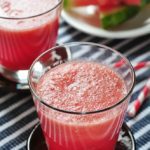 This recipe calls for 16 cups of watermelon juice (watermelon is 92% juice) but if you don’t have that much just scale down the recipe. 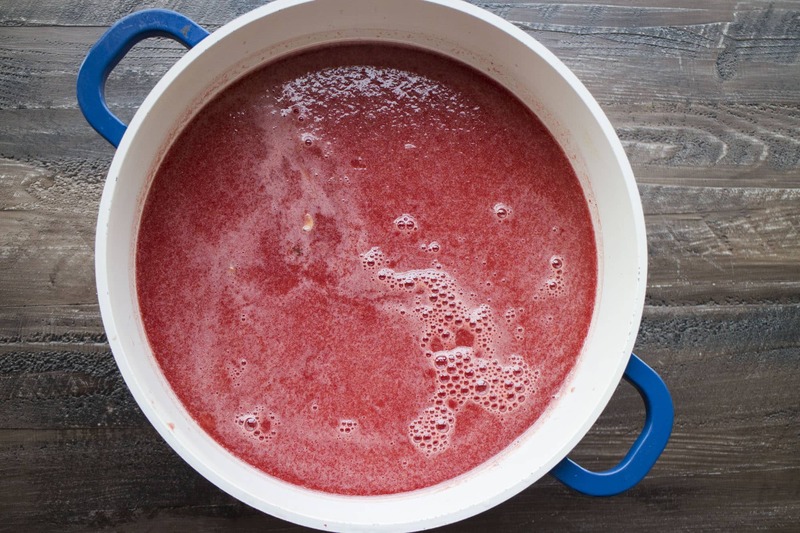 Start with a big pot of your watermelon juice. Bring it to a boil on the stove. Reduce heat to medium high. And then continue to lightly boil for the next 2-3 hours. 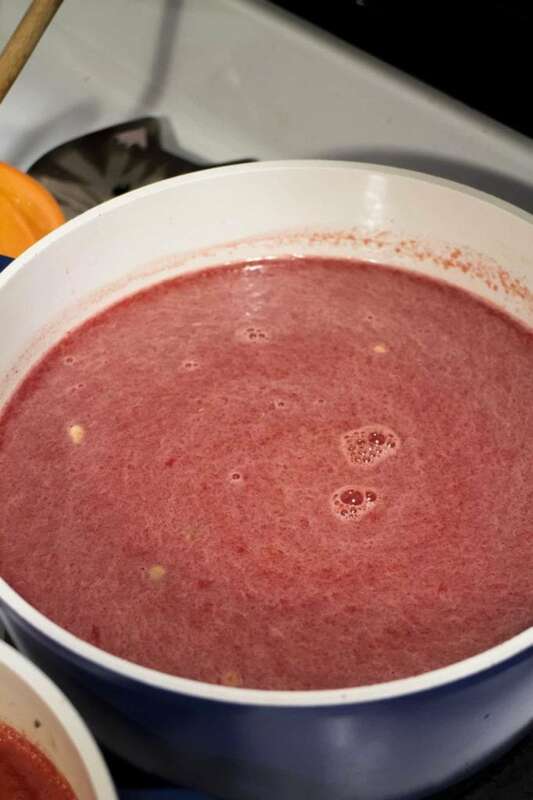 You will see the watermelon start to break down and thicken to a dark jam color. This is mine after 3 hours. I’ll let the jam sit for a few minutes to thicken up completely and then I’ll quickly get it in mason jars, You can see how thick the jam got here. 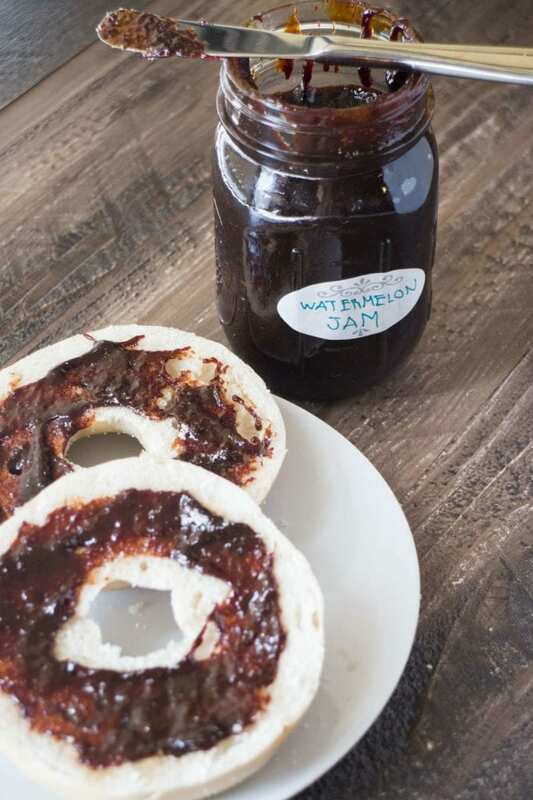 I bet noone will believe you when you tell them this jam is watermelon jam! 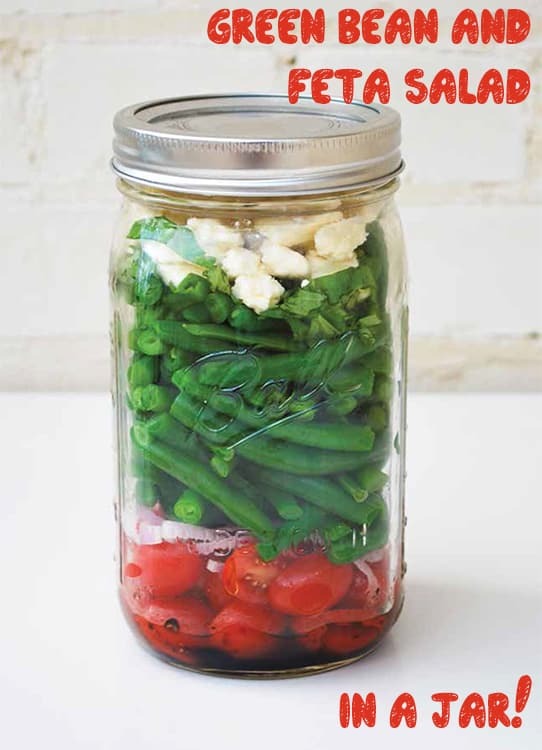 Now throw in a mason jar and into the fridge it goes. 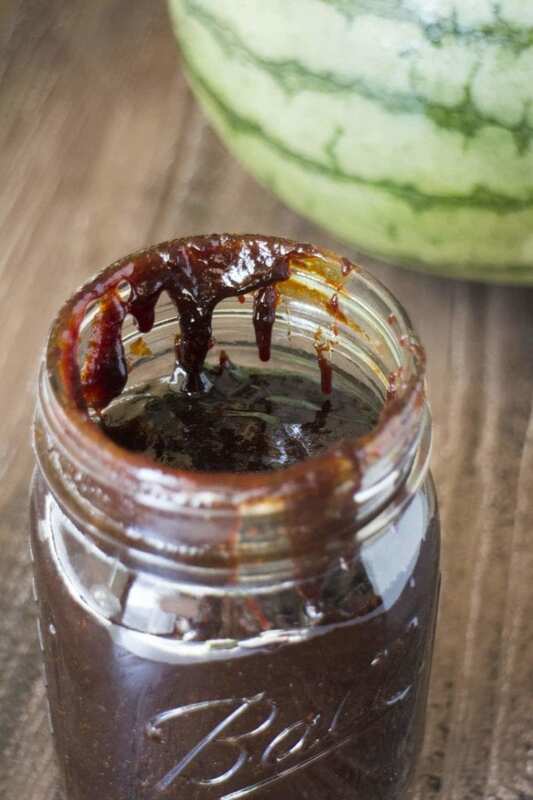 No pectin is required for this watermelon jam! 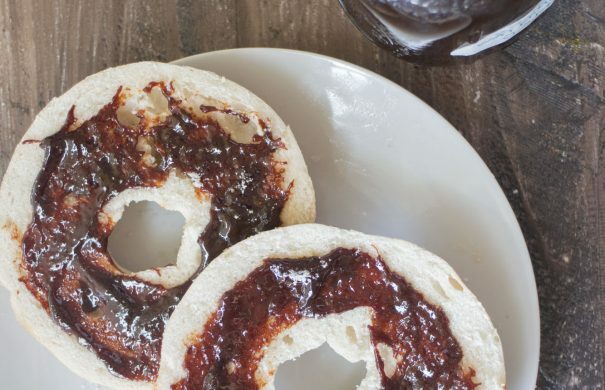 When it’s ready to spread on a bagel or toast, smear a bit all over and enjoy your homemade jam! 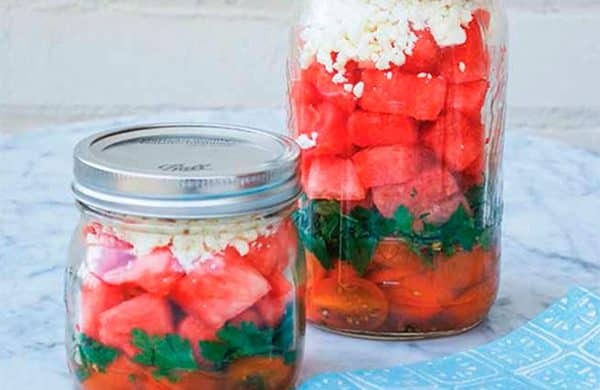 Looking for more watermelon recipes? 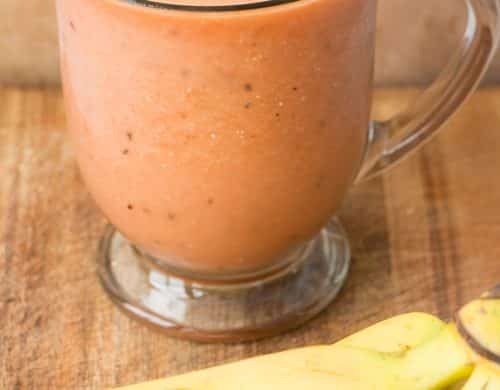 Try my watermelon soup! HOMEMADE Watermelon Jam! 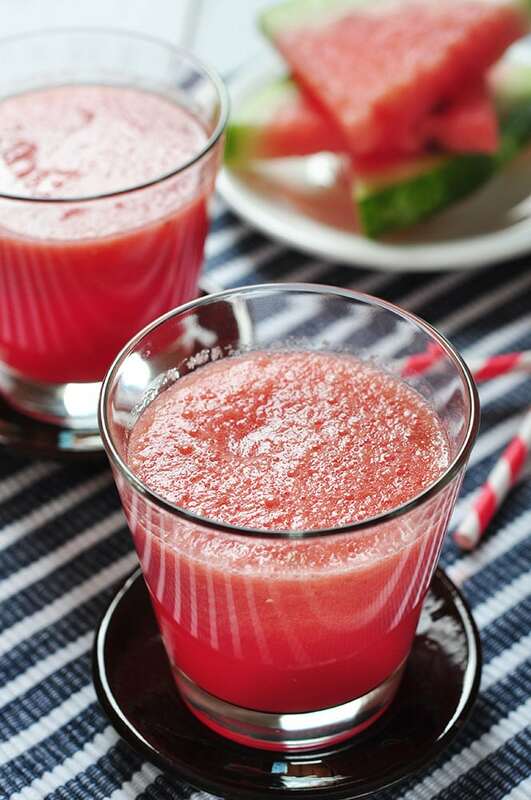 This easy to make jam recipe uses fresh watermelon juice to make a healthy jam. 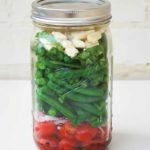 No pectin is needed for this recipe, just throw it in the refrigerator when it's done! This is one of the best fruit jams, I love eating it on toast! Mix all ingredients in large pot. Bring to a boil. Reduce heat to medium high. Keep a eye on this so it doesn't boil over. Skim foam as it rises. Check and stir every 15 minutes. Continue to boil for 2-3 hours (mine took 3 hours). 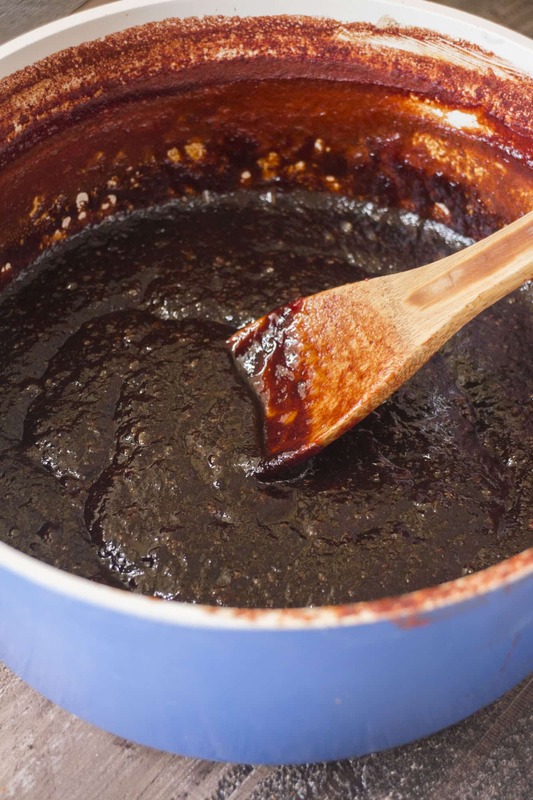 Depending if you reduce the recipe yours might done faster, so keep checking to make sure it doesn't burn. Let sit for 5 minutes. 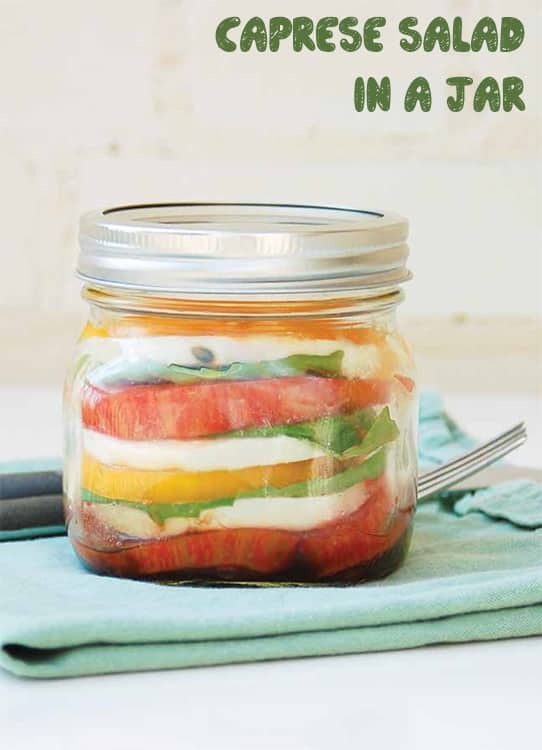 Immediately place in mason jar. 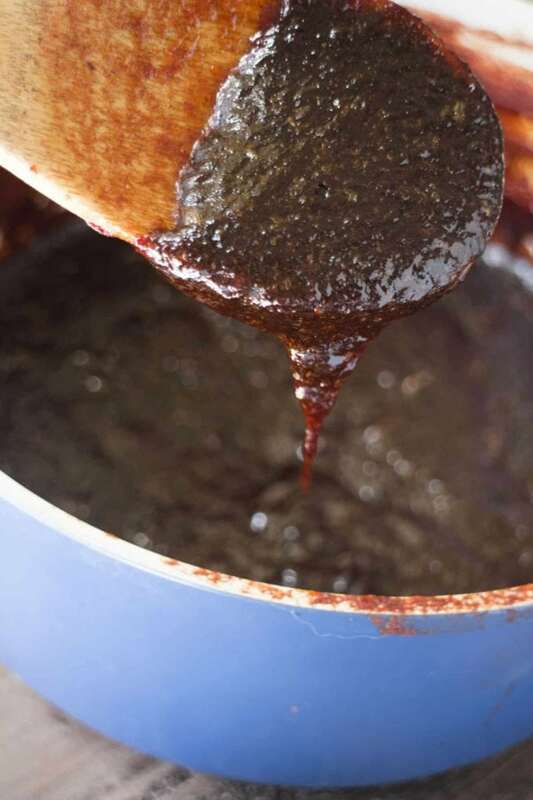 The jam hardens quickly so if you let it sit for longer it will be tough getting it out of the pot. Place in refrigerator and enjoy! If only I had a basement Jenny! :( Thanks for the tip though - one day (alongside growing mushrooms!). First up tomatoes. We picked 43 pounds of tomatoes this weekend! Wild, right? This is a really heavy crate, too heavy for my weak arms. I picked it up, Matthew snapped the picture, I threw the crate down and then fell to the floor in weak power. I am kinda in love with these popsicles. 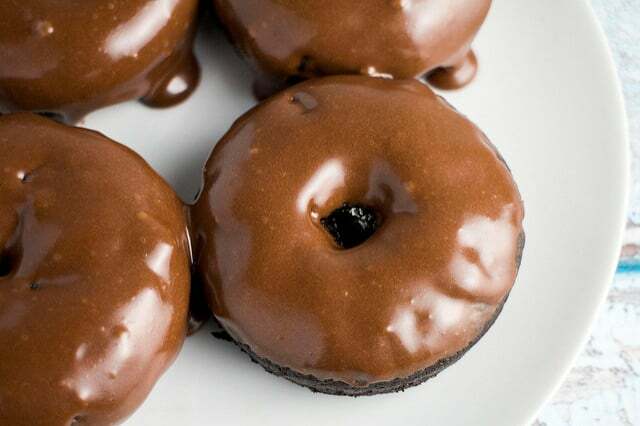 And because they are healthy, I can totally eat as many as I want a day with no regrets! Isn’t that the best? 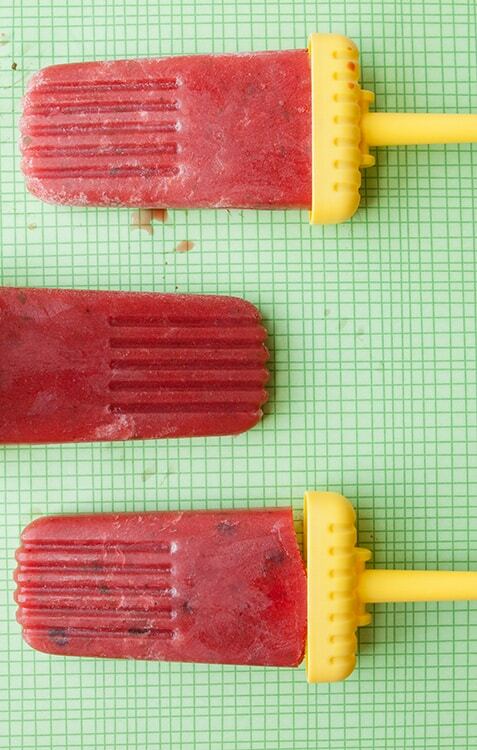 These popsicles have watermelon, strawberry, lime and mint in them. As a sweetener you can leave as is or you can add a little honey (that’s what I did). 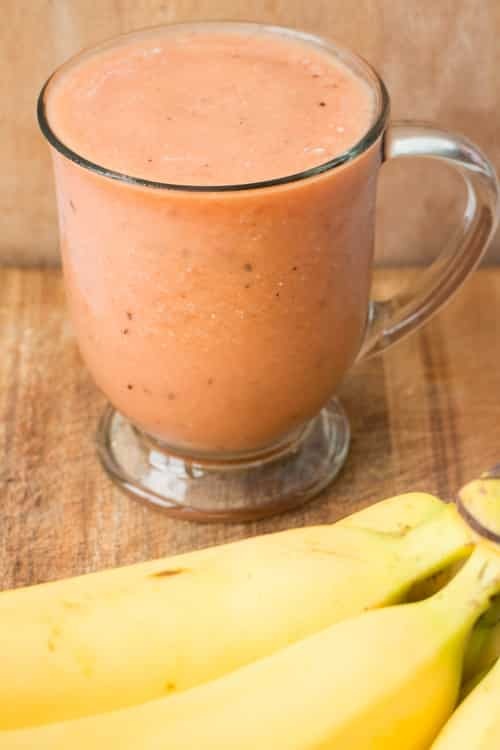 With the fruit already sweet, you don’t’ need much additional honey – a little goes a long way. And can we talk about how easy they are? 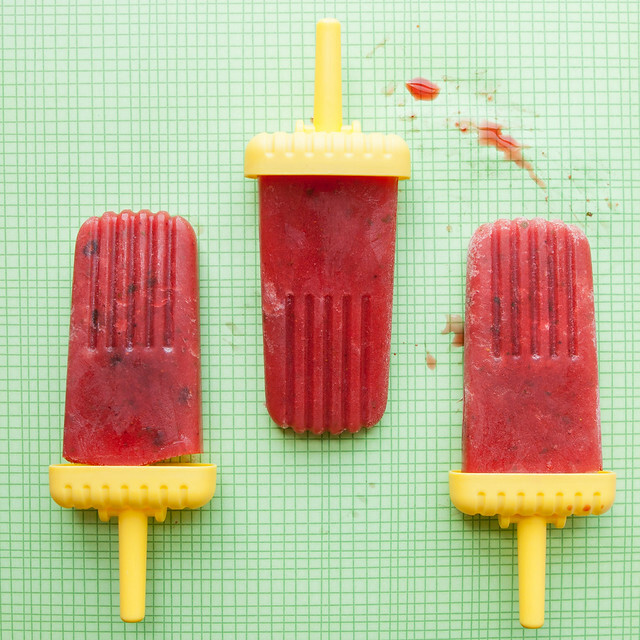 You just throw the ingredients in a food processor, pulse it, pour into popsicle molds and freeze. Boom, done! Amazing!